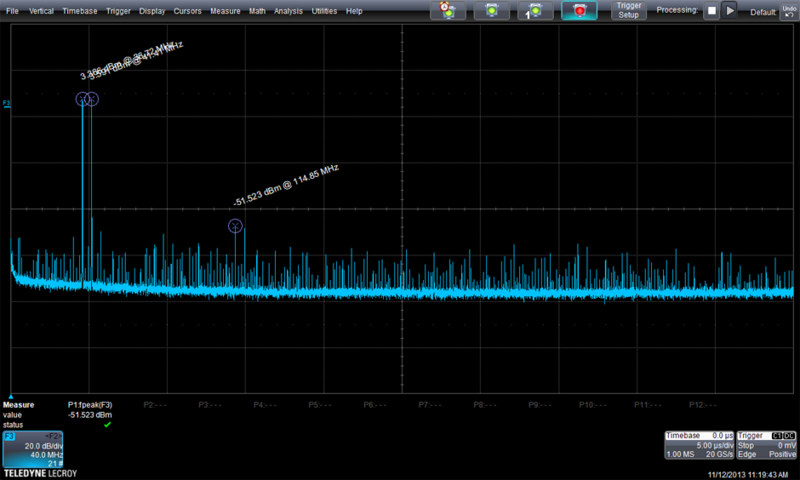 QPHY-10GBASE-T performs all PMA transmitter tests in IEEE802.3-2008 using WaveMaster 8 Zi or LabMaster series oscilloscopes, as well as the MDI return loss test using the SPARQ Network Analyzer. 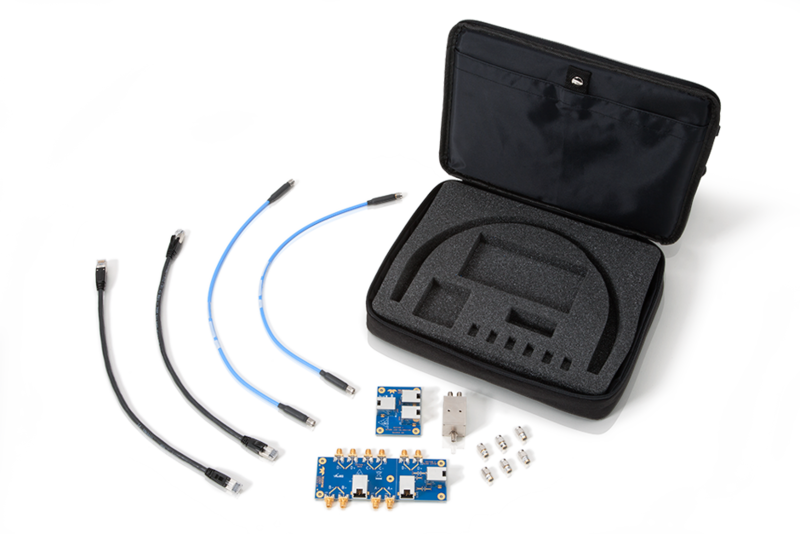 The TF-10GBASE-T fixture kit breaks out the signal pairs to SMAs for connection to the instrument. A SPARQ Series Signal Integrity Network Analyzer is used to perform the MDI return loss test. SPARQ is the ideal instrument for characterizing multi-port devices common in signal integrity applications at fraction of the cost of traditional methods, and is available with either 2, 4, 8 or 12 ports. The TF-10GBASE-T fixture includes all necessary components to de-embed the fixture and make the SDD11 return loss measurements. 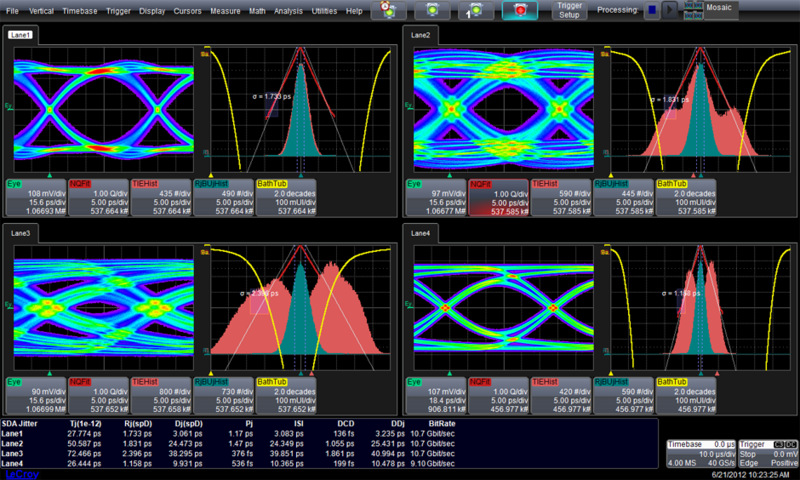 QPHY-10GBASE-T uses the QualiPHY automated compliance test software to operate the oscilloscope and network analyzer. The QualiPHY test script provides connection diagrams and ensures the proper setup. QualiPHY automates the instrument, and provides a comprehensive report of the results including screenshots. If a compliance failure is found, a variety of packages can help find the root cause quickly and easily. 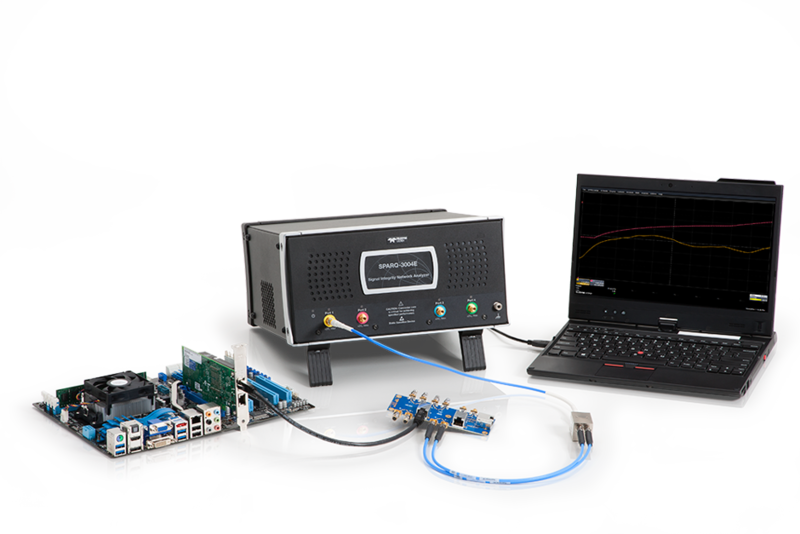 The SDAIII-CompleteLinQ serial data analysis package has the ability to perform eye, jitter and noise measurements on 4 lanes simultaneously, and is fully integrated into the oscilloscope application software. Measurement results often need to be summarized and tabulated to quickly verify specifications. This information, together with instrument and signal acquisition/test condition setups, results in a fully documented record. QPHY-10GBase-KR streamlines this process by incorporating an automatic HTML report generation engine. The created test reports contain tabulated numerical values for each individual test result, including PASS/FAIL and specification limit columns. Reports can also be saved as PDF, HTML or XML. The TF-10GBASE-T test fixture breaks out all signal pairs from the 10GBASE-T CAT6 cable to SMA connectors. Included is a fixture for performing the appropriate calibration of the SPARQ Network Analyzer, including differential SHORT, OPEN and LOAD structures. The kit includes matched cables and a balun for the return loss test.